Wow, I cannot believe that we are nearly at the end of this fantastic project. I have really enjoyed the challenges each week finding a photograph that fits the corresponding letter. 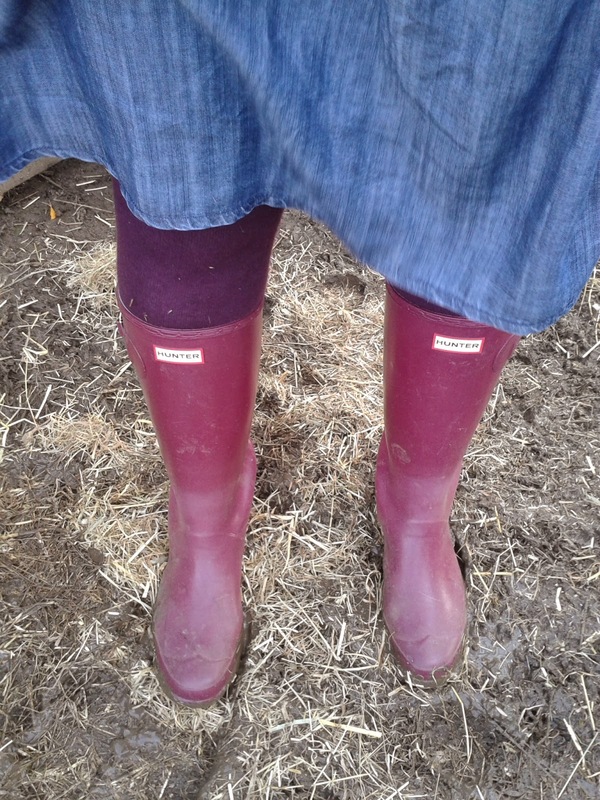 I honestly never thought I'd love a pair of wellies like I do my lilac Hunter boots. As we live in the countryside, during the wet weather, they are always on my feet. As you can see I wear them with anything. When I go to tend to the chickens, at this time of year, they are essential as it gets so muddy. I have got to admit they do add a touch of glamour to the most mucky, muddy jobs! That is why my W is for Wellies! As always I am sharing with the lovely Podcast - Alphabet Project. Ha ha I love mine too! They really are handy when you live out in the countryside aren't they - I even wore mine on the school run last week!